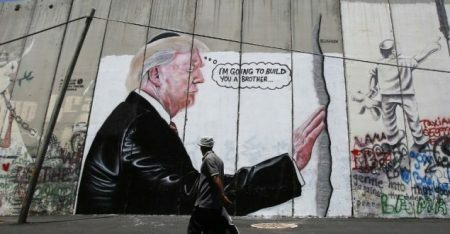 Updated: Israeli soldiers invaded, on Wednesday at dawn, several Palestinian communities in the occupied West Bank, searched many homes and abducted thirteen Palestinians, in addition to confiscating two cars and photographing homes. 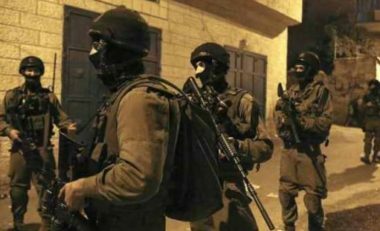 The Hebron office of the Palestinian Prisoners’ Society (PPS), in the southern part of the West Bank, said the soldiers invaded homes in Yatta town, south of Hebron, searched them, before abducting Na’im Mousa Abu Rajab and ‘Ayed Mohammad Ismael, and confiscated two cars. It added that the soldiers abducted Fares Abu ‘Arqoub, from Doura town, south of Hebron, after searching and ransacking his home. In Bethlehem governorate, many army jeeps invaded the Deheishe refugee camp, south of Bethlehem city, and abducted Rami Omar al-Atrash, 29, in addition to abducting Jamil Soheir Hamamra, 22, from Husan town, west of Bethlehem. In Tubas, in northeastern West Bank, the soldiers invaded the al-Far’a refugee camp, and abducted a young man, identified as Ahmad Daraghma. Furthermore, the soldiers invaded Jenin refugee camp, in the northern West Bank governorate of Jenin, searched homes and abducted four young men, identified as Lutfi Mohammad Abu Nasr, Ahmad Nidal Sa’adi, Nidal Amin Hazem and Yazid Nidal Ja’aysa. The soldiers clashed with many young men during the invasion, and fired gas bombs and concussion grenades. Also in Jenin, the soldiers invaded Ya’bad town, southwest of the city, and photographed the home of Ahmad Ghaleb Abu Bakr, who was released from Israeli detention less than two days ago, in addition to the homes of his relatives Ghazi and Munir Khaled Abu Bakr. The soldiers also interrogated several young men while inspecting their ID cards, in addition to invading Zabbouba village, west of Jenin, and installing a roadblock in its center, before stopping and questioning many Palestinians. In Nablus, also in northern West Bank, the soldiers stopped twenty cars, carrying Palestinian government plates, at Za’tara military roadblock, south of Nablus, and searched some of them. In Tulkarem city, in northern West Bank, the soldiers abducted Omar Suleiman Thiab, and his son Abdullah Thiab, in addition to Jihad Kharyoush, from Tulkarem refugee camp, after breaking into their homes and searching them. The soldiers also prevented dozens of farmers from entering their lands, in Kafr Sour village, south of Tulkarem, after refusing to allow them through the electronic gate of the Annexation Wall, without providing any explanation for not allowing them into their isolated lands.